Does everyone pull a face at your house when asked politely to tidy up? 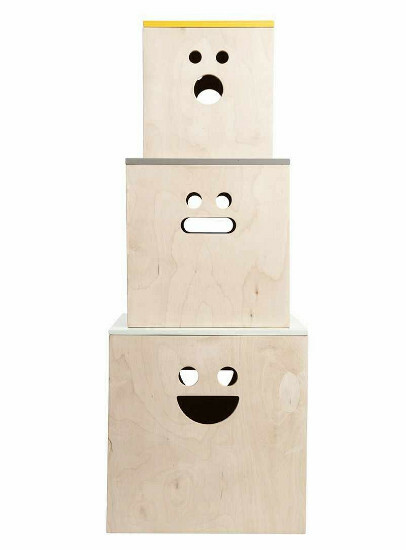 Now their storage boxes can pull a face right back at them! 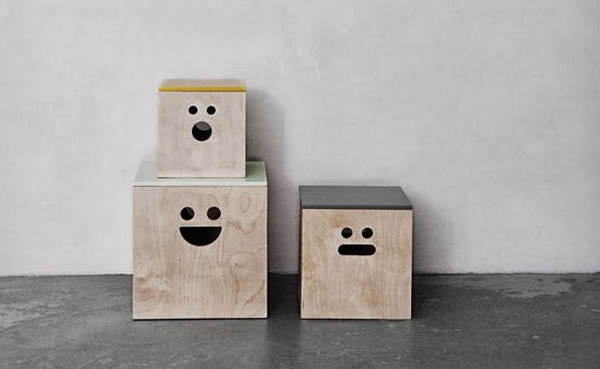 These great plywood face storage boxes from Scandinavian styled Ferm Living are sure to put a smile on the face of even the most reluctant room tidier. They come in a set of three, of varying sizes, and they conveniently nest inside each other when not in use. The neutral finish means they will be at home in most bedrooms and playrooms, and their cheeky visages add an understated sense of fun to the mundane business of putting away toys. You’ll find them at Fawn and Forest for US$310.